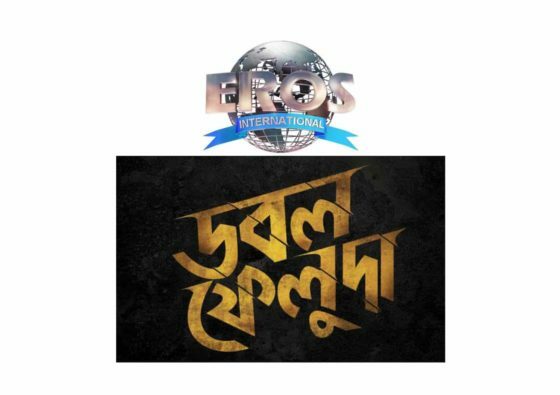 Eros International Media Ltd., leading global company in the Indian film entertainment industry and MM Movies today unveiled the first-look and teaser of their upcoming Bengali thriller Double Feluda directed by Sandip Ray. Celebrating the completion of 50 years of Satyajit Ray’s iconic character, the charismatic detective Feluda, the film, for the first time will showcase two stories of Feluda – Samaddarer Chabi and Golokdham Rahasya and is slated for release on December 16, 2016. Actor Sabyasachi Chakraborty dons the hat of Feluda once again with Saheb Bhattacharya, whose last outing with Sandip Ray’s Feluda franchise was Royal Bengal Rahasya, portraying Felu Mitter’s assistant Topshe. Commenting on the collaboration, Sunil Lulla, Managing Director, Eros International Media Ltd. said, “Legendary filmmaker Satyajit Ray’s Feluda is an iconic character that has a tremendous following not only in Bengal but across the world. We are delighted to join hands with the eminent Sandip Ray who have successfully carried on the legacy delivering multiple blockbusters from the Feluda franchise. With two stories packed together for the first time in Feluda series, we hope Double Feluda will be a double treat for its fans worldwide”. Speaking on the occasion, director Sandip Ray said, “The Feluda franchise is very close to my heart and this time I have adapted two interesting Feluda stories celebrating 50 years of my father’s iconic creation. I am happy to collaborate with a leading studio like Eros. I hope the audiences shower their love on Double Feluda as they always have”. About Eros International Media Ltd.
Eros International Media Ltd. (BSE Script Code: 533261; NSE Script Code: EROSMEDIA) is a leading global company in the Indian film entertainment industry that acquires, co-produces and distributes Indian films across all available formats such as cinema, television and digital new media. Eros International is part of Eros International Plc, which became the first Indian media Company to raise capital and be listed on the New York Stock Exchange. Eros International has experience of over three decades in establishing a global platform for Indian cinema. The company has a competitive advantage through its extensive and growing movie library comprising of over 2,000 films, which include Hindi, Tamil and other regional language films for home entertainment distribution. Eros International has built a dynamic business model by combining the release of new films every year with the exploitation of its film library.